For the last 38 years, one of Sheffield’s most loved and innovative independent venues has consistently played host to some of the most iconic musicians, artists and shows, and with their recent announcement it seems this tradition is set to continue. 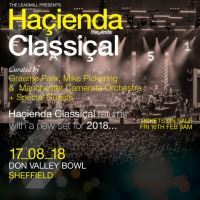 The Leadmill brings Hacienda Classical with Manchester Camerata, the city’s experimental orchestra, to Sheffield’s Don Valley Bowl on Friday 17th August – as part of their second wave of dates to be announced for 2018. Hacienda Classical promises a new set and fresh soundtrack for this year. The city’s famous Leadmill venue dominated Sheffield’s dance culture in the 80’s and 90’s with nights like Rise & Steamer as well as being the first home of Gatecrasher in Sheffield. The concert is not the first time that The Leadmill and The Hacienda have collaborated either, as The Leadmill brought a coachload of Sheffield clubbers over to the original FAC51 in Manchester back in 1988. The 7500 capacity Don Valley Bowl is the city’s best arena for live outdoor events and has previously hosted concerts from the likes of U2, Paul Weller and Catfish and The Bottlemen. But the visit of Hacienda Classical is set to be one of the most experimental and nostalgic shows yet. 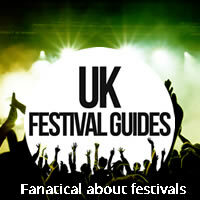 As The Hacienda's dance heritage has collided with the world of classical music, the concerts have been widely praised with great audience responses from the gigs and dates selling out in minutes. Now coming into its third year, these inspirational nights have recreated the tunes that defined a generation at the original club, renewed afresh and rearranged with a classical orchestra. The announcement of this show is met with excitement. It is a huge step in the right direction for The Leadmill and will hopefully set the tone for future events. Rebecca Walker, Senior Live Promoter & Assistant General Manager at The Leadmill said, “The Leadmill is such a loved institution to many in the Steel City and I’m immensely proud of both the brand and our hardworking staff to be able to take The Leadmill to the next step with such an ambitious show”.